Really lovely! Is green, clean and perfect! A little Photoshop fun… thank you! I’m glad you think so, thank you, Rabirius. Very nice… We can only hope that those in power will do what is needed to preserve it. Thank you, Nick. Yes, it would be nice to think that the people who make decisions that impact the environment consider things carefully. It seems often that is not the case, though. What a pretty image ! I like the small sailing ship ! How lovely..feels like fragile wonder, for holding gently..just love those fish swimming! Lovely. I am afraid that I am too pessimistic. It seems every time we make some headway, those moneyed interests who choose to despoil the environment for short term profit eventually undo the good and travel even farther in the wrong direction. Thank you, Steve. I share some of that pessimism but I know there are many people working for the good of the environment too. We sure take a long time to figure things out, though, and often it’s too late. Hi Gro! I’m glad you enjoy it, thank you. 🙂 Yes, I really should work on getting an exhibition going! What a delicate and lovely image, Karen. A perfect tribute to World Environment Day. Thank you, George, that’s kind! Thank, Kat! It was fun to create. Thank you for your kind words. I have to tell you that I relish your posts, especially important to me when I was pregnant and under the weather. They are nourishing in their poetics. Thank you. I’ve always loved marbles for some reason. 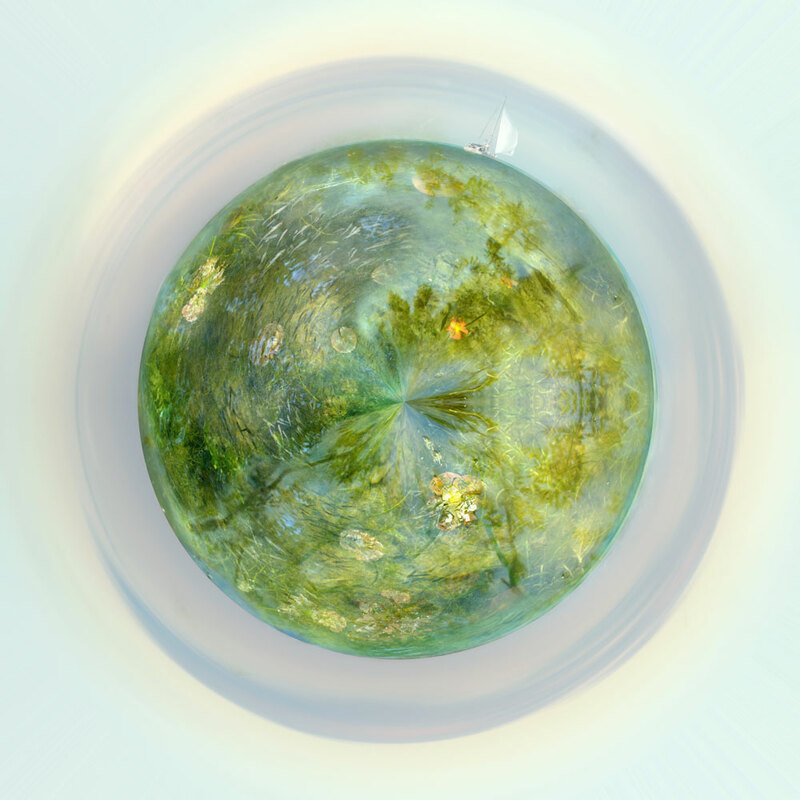 They do make one think of little worlds! Thanks for your comment, Marina. Absolutely marvellous Karen.. clapping my hands with joy !! OU are so very clever.. How did I miss that this was World Environment day! Shame on me! Couldn’t agree more with your sentiment ! Crossing my fingers for the world’s environment, so much consernes, but your sweet photo reminds us about all the magic that is still there and here. You are right, Bente, there is a lot to be concerned about. But still incredible beauty to appreciate…. If that’s an offer Karen I may well take you up on that. I’ll be needing an album cover next year…. Perfect idea for this day and a lovely image. Green and luminous. Hopeful and beautiful. Thank you Karen. Much thanks, Elena. I’d like a marble just like this to fit in my palm. One of the larger sized ones. I had to look up what those are called: semi-bowlers, in Australia anyway! Such a magical image! I want to be on that boat. The one planet the Little Prince must have missed… Very interesting image! Beautiful Karen – and I love the idea of it being a marble! Love it. Wonderful soft quality about it. Fragile, jewel-like and beautiful, just like the real thing. So where is Texas on your globe? I hope it’s not out of sight on the far side. Fantastic and beautiful images, Karen, for “This Little, Shared Planet”. 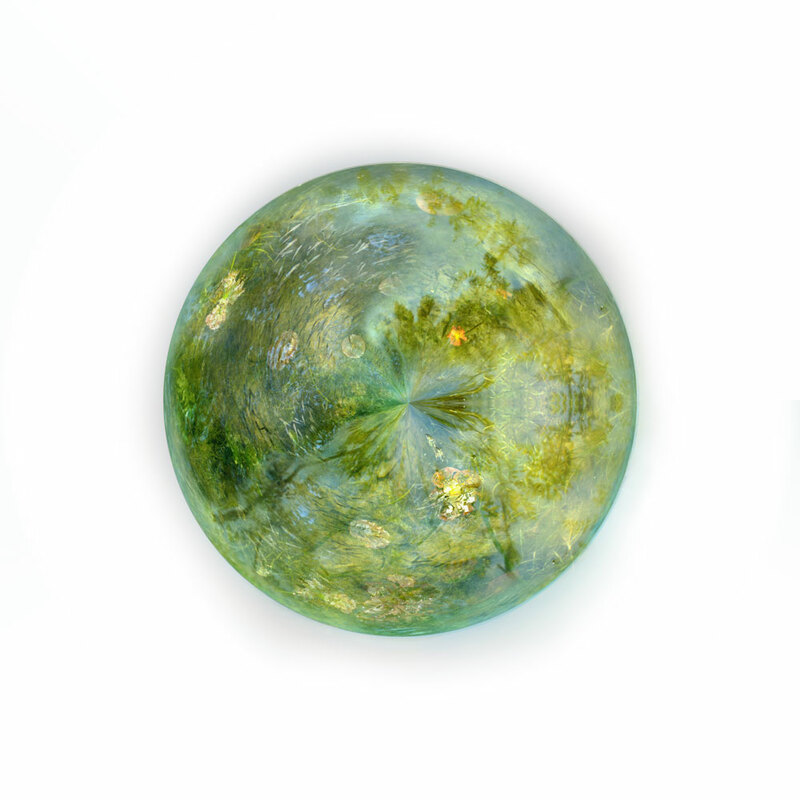 This is gorgeous … a wonderful orb of all sorts of nature’s beauty! Fabulous, I love these Karen! Absolutely stunning image and the microcosm concept is so clever! Oh my God! I want to be you!! I love your images, such talent! Nice . . . hopefully the comment will post. Still nice even if it does not post.